ELEMENTS meets in a small group setting, Tuesdays and Thursdays 8-9am. By the end of the 8 class series, you'll be confidently using kettlebells (and other equipment) to pursue strength, cardiovascular health, and mobility - whether you're planning to join us in our regular group classes, a small group, 1:1 training, or continuing on your own. Although this class will follow a progressive curriculum, we encourage you to begin with us when you're ready, and pick up at the beginning of the next cycle to fill in any gaps. You’re also welcome to continue to attend these classes to brush up on basics once you begin a regular membership. 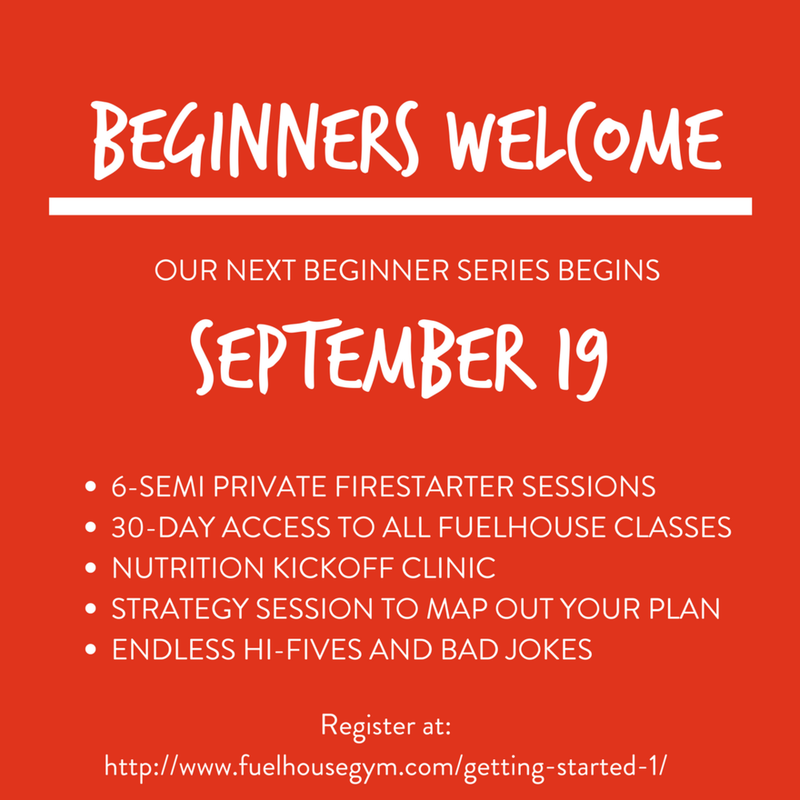 INVESTMENT: ($217) Includes access to FUELhouse classes outside of ELEMENTS as your coach clears you! WHEN: The next ELEMENTS series begins on Tuesday, MAY 16th at 8am! CLICK HERE to create a profile in our system, purchase your Elements series, and sign up for your first Elements class! CLICK HERE to fill out a quick questionnaire so we can get to know you! Posted on May 11, 2017 by Molly Kieland and tagged beginner elements fuelhouse kettlebells fitness.